Art Deco, Art Nouveau, Edwardian and Victorian Antique Lighting. Established 1982. 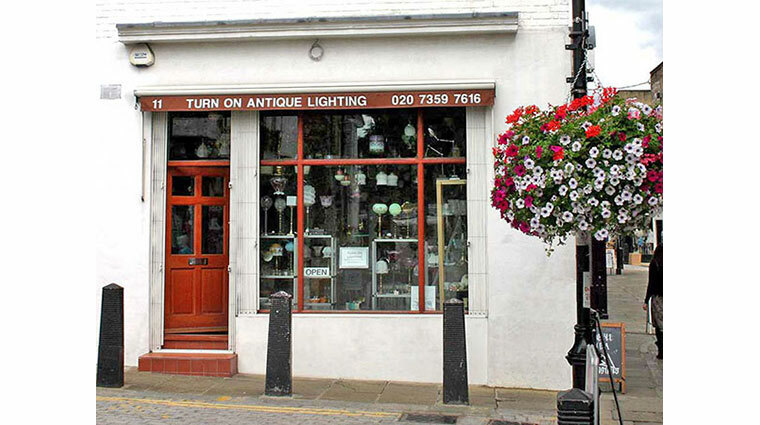 Turn On Lighting has been supplying period antique lighting for thirty five years in Camden Passage, Islington, Londons renowned Antiques centre. The corner shop has a wide range of genuine antique lighting, covering the period c.1850-1950. The vast stock includes antique lighting for ceilings and walls, as well as free standing table and floor lamps. Every item, including those converted from gas, has been restored to its original condition. The spacious premises are situated three minutes walk from Angel Tube Station (Northern Line).